The purpose of this study is to examine the evolution of corporate reporting on social investment activities in the context of a global move toward integrated reporting approaches. The paper adopts both a conceptual and content analysis approach to examining the reports of four multi-national corporations – Heineken, Unilever, Glaxo Smith Kline (GSK), and the National Australia Bank (NAB). We find that the purpose and outcomes of social investments became more clearly articulated and associated with longer term notions of progress, risk and strategy over the period of our study (2009-2013). 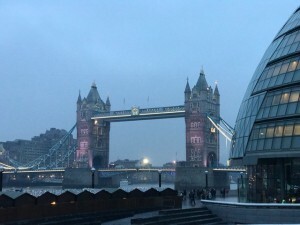 This applied to all four companies, although only two (NAB and Unilever) had formally committed to the International Integrated Reporting Council’s (IIRC) Pilot Programme. Further, reporting in GSK, Heineken and NAB transformed to telling more human-centred value creation stories. We argue that stewardship theory, isopraxism and isomorphism offer explanatory power for the identified changes in reporting with isomorphism and isopraxism together being useful in explaining differences and similarities in integrated approaches to corporate reporting. In this study we explore the evolution of business reporting by four large multinational corporations (MNCs) toward more integrated approaches. The study responds to calls for research examining: the manner in which integrated reporting is evolving; the extent to which it is encouraging greater connectivity between core business issues and Environmental, Social and Governance (ESG) issues; its impact on integrated thinking (see for example, Cheng, Green, Conradie, Konshi & Romi, 2014); and, the business case for integrated reporting (Simnett and Huggins, 2015). Public policy makers, advocates of reform and increasingly corporations themselves see profit versus social good as a false dichotomy (PSIS, 2012a, 2012b) in a modern environment characterized by increasingly knowledgeable stakeholders and rapidly rising middle classes in newly industrialised countries (KPMG, 2012). The International <IR> Framework is principles-based and does not have mandatory status, but common reporting formats by pilot included an organisational overview and the business model; operating context including risks and opportunities; key objectives and strategies to achieve them; governance and remuneration; performance; and future outlook. Importantly, and relevant to our case studies, trends towards introducing these content elements and thinking more broadly about value creation, extend beyond the IIRC pilot companies as a result of global developments in non-financial reporting through regulation and stock exchange requirements (see Eccles & Saltzman, 2011). This has been aided by the sharing of feedback from the one hundred plus businesses involved in the pilot testing of the IIRC’s Framework through publications like the IIRC’s Understanding Transformation: Building the Business Case for Integrated Reporting (2012) and the availability of their reports in an online database. The IIRC’s pilot program participants reported internal benefits to their organisations including: improved connections between departments; improved internal processes leading to a better understanding of the business; increased focus of the board and senior management; better articulation of the strategy and business model; and value creation for stakeholders (IIRC, 2012, p.3). The findings of a collection of recent studies provide some support for these benefits (e.g. Brown & Dillard, 2014; Higgins, Stubbs, & Love, 2014; IMA & ACCA, 2016). These elements were found missing in case organisations studied by Adams and Frost (2008) prior to these developments indicating that the <IR> Framework might be a useful mechanism for companies. We explore the evolution of corporate reporting by seeking to understand how a selected sample of companies report on their social investments. 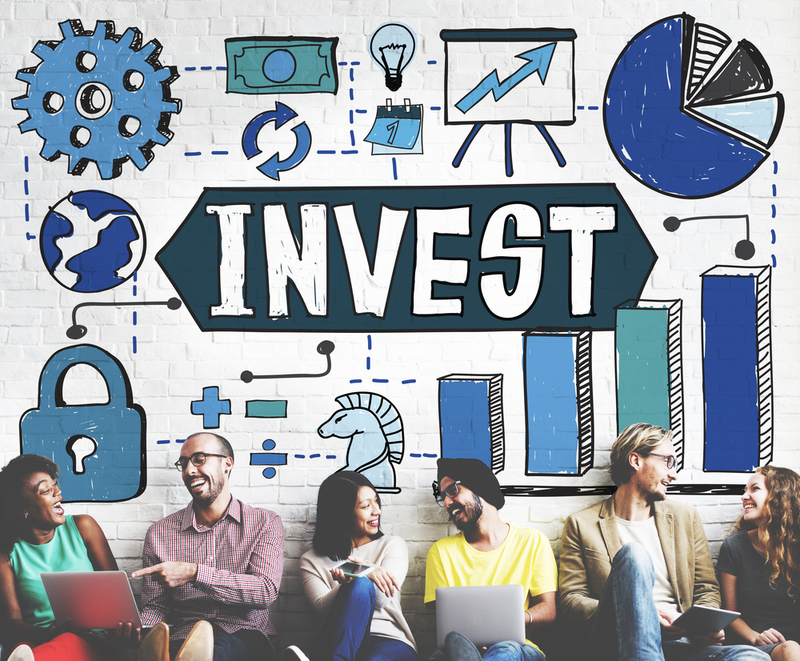 We use the term ‘social investment’ broadly to refer to the activities undertaken by organisations to assist communities and societies to address their broader development needs (PSIS, 2012b). Such investment can take various forms, ranging from traditional philanthropy undertaken with little or no expectation of economic return in the short term, to more integrated approaches which incorporate social development needs as part of core business strategies. A survey published by the Global Reporting Initiative and the University of Hong Kong (2008) found that the top five social investment activities reported were: education and training; philanthropy and charitable giving; community service and employee volunteering; total community expenditure; and, community engagement and dialogue. Social investment might thus be seen as a subset of corporate social responsibility activities which add value to communities outside the (traditional) organisational boundary and as such are particularly pertinent in delivering the Post 2015 Development Agenda. There is some evidence to suggest that organisations undertaking social investments are rewarded by customers, employees and markets, particularly where such activities are embedded in the strategy, governance structure and the operations of the entities (ICCSR, 2007; Lev, Petrovits & Radhakrishnan, 2010; Porter & Kramer, 2006). Many companies are seeking to align their core business approaches with the needs of the communities and societies in which they are involved (see for example ICCSR, 2007) and /or reducing negative environmental impacts (International Finance Corporation, 2007; United Nations Development Programme & The International Business Leaders Forum, 2003). Some, as our findings indicate, regard this as important to their ability to create value for shareholders in the long term. Conventional GAAP-based approaches to accounting and reporting do not readily portray the value created by social investment – for either the organisation or for society. Organisations typically report social investment activities in the form of case studies or commentary. The commentary has hitherto focused primarily on what could be deemed ‘traditional’ social investment programs, such as sponsorships, charitable donations and programs where a specific ‘dollar donated’ amount can be highlighted. They typically lack the use of quantifiable outcome-based metrics that highlight the broader impacts of investments for societies, communities, and organisations involved and it is rare for links drawn between social investment activities and the organisation’s strategy to create value. Where data are available, they primarily encompass ‘inputs’ such as money spent on philanthropic donations, sponsorships, and hours donated through employee volunteer programs. 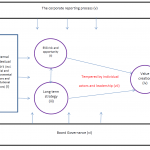 The Integrated Reporting <IR> Framework (IIRC, 2013) provides a mechanism to address the non-financial information needs of providers of financial capital by providing insight into the effectiveness of the organisation’s strategy in creating value, broadly defined (IIRC, 2013; Potter and Soderstrom 2014). In doing so, advocates of <IR> maintain that it will help organisations integrate social and environmental considerations and social investment activities into mainstream business processes and decisions (Adams, 2015; IIRC, 2013; IIRC & Black Sun, 2014), although Stubbs and Higgins (2014) offer apparently contradictory evidence against a move towards ‘integrated thinking’ (defined in IIRC, 2013) in the Australian context. To summarise, examining how the reporting by our sample companies has evolved over time is complex. Given that the IR movement is organised and influential, comprising global leaders in accounting and business (Potter and Soderstrom, 2014) it would not surprise if our two <IR> Pilot companies reported information in more integrated ways relative to the other companies. It is also possible that the development of integrated reporting might be occurring in the context of a general evolution in reporting toward more integrated approaches. Thus we may see a general move toward more integrated reporting approaches occurring in each of our sample companies, albeit occurring in different ways, resulting in variation in the nature and extent of change in reporting over time (Carpenter & Feroz, 2001; Sahlin & Wedlin, 2008). The next section presents theories which assist in framing our understanding of these changes. Then we analyse reports by four companies known to be engaged in social investment activities, two of which are in the IIRC’s Pilot Programme and two which are not, over the period 2009-2013. Agency, stakeholder, institutional, legitimacy and political economy theories have all been used in the past to enhance our understanding of disclosure practices, particularly with respect to disclosures of voluntary, non-financial information (see, for example Davis, Schoorman & Donaldson, 1997; Deegan & Rankin, 1996; Hopwood, 2009; Larrinaga-González, Carrasco-Fenech, Caro-Gonzalez, Correa-Ruýz and Paez-Sandubete, 2001). A number of studies have concluded that whilst any one of these theories on their own have limited explanatory power, they do, when considered together, shed some light on corporate voluntary, non-financial disclosures (see, for example, Gray, Adams & Owen, 2014; Adams & Harte, 1998; Adams & McPhail, 2004). Adams and Whelan (2009) observe that much of the research and the theoretical perspectives used to examine the voluntary disclosure of non-financial information concludes that organisations tend to act in self-interested ways, particularly in seeking to maximise financial outcomes such as profit. Thus the potential for more integrated approaches to reporting (or any other driver) to effect change depends on the extent to which it alters the way managers think within the profit maximisation constraint. The broader view of value creation and multiple capital concept of integrated reporting seeks to do this in part by explicitly calling for enhanced stewardship of the capitals and promoting understanding of the interdependencies between the capitals (IIRC, 2013, p.8). Stewardship theory posits a collective-serving model of behaviour driven by intrinsic values and a desire to do what is best for society and the planet (Donaldson & Davis, 1991). Following this it might be reasonable to expect integrated reports to display a level of accountability that encompasses society and the environment. Further, following stewardship theory, management tends to be more integrated and collectivist, focussing more on the longer term. In these ways, prima facie, stewardship theory ideals appear to be more closely aligned with those ideals at the heart of <IR>. Adams (2002) notes that motivations for undertaking CSR activities, including social investment, tend to fall into two increasingly converging camps: it’s the right thing to do (consistent with the predictions of stewardship theory) or it’s good for business (consistent with institutional and legitimacy theories). The emphasis on stewardship of multiple capitals implicit in the IIRC Framework (IIRC, 2013) might reasonably be seen as a call for greater accountability, for example by reporting movements in material capitals. Whilst accountability for social and environmental impacts has been found to be lacking (see, for example, Adams, 2004) anecdotal evidence suggests that in some cases instead of, or perhaps in addition to, setting out not to provide an account of impacts, companies are reluctant to report on the good work they are doing. That is, whilst companies have been found to hide negative impacts, there is also some reluctance to be seen to be ‘blowing one’s own trumpet’. This phenomenon has received little attention in the academic literature and may in part be due to a lack of awareness of the value to the business of such activities. Reporting on the movements between capitals allows this value to be recognised. Institutional theory has also been helpful in shaping our general understanding of the adoption of a range of accounting and reporting approaches and techniques by companies in particular organisational and industry contexts (Carpenter, 1991; Carpenter & Feroz, 2001), but typically has not been used to aid understanding of why reporting approaches might evolve in different ways within specific settings or with respect to specific issues (Adams, 2013a, 2013b; Adams & Harte, 1998; Adams & McPhail, 2004). More recently, researchers have begun exploring extensions to the theory to understand the different ways in which ideas might travel and be translated and adopted through time (Sahlin & Wedlin, 2008), and the different outcomes and consequences that can arise. A key concept in earlier applications of institutional theory is isomorphism which has largely been used to explain the homogeneity of form (DiMaggio and Powell, 1991). Notions of isopraxism have been applied to capture the different consequences that can arise when ideas travel and are interpreted and adopted in different ways (Harding, 2012). The key difference between isomorphism and isopraxism lies in the assumptions made about how ideas and innovations travel. Isomorphism is grounded in the assumption that there is little or no reinvention of an idea or innovation as it travels between adopters who tend to adopt (or not) for the same reason (Abrahamson, 2006). Alternatively, it is possible that ideas are translated and modified as they travel with the result that while adoption occurs by different actors for the same or similar reasons, specific differences occur in what is adopted. This is isopraxism. Concepts such as isomorphism and isopraxism are potentially helpful for framing our interpretation of why corporate reporting approaches may converge (or not) over time and the role of the <IR> Framework. For example, it is possible that the principles-based and non-mandatory <IR> Framework and the involvement by companies in the IR Pilot program may create explicit and implicit reporting norms that shape the information produced by those companies. In this sense, isomorphism may be useful for understanding how and why reporting content and structures can become similar across companies over time (Stensaker, Harvey, Huisman, Langfeldt & Westerheijden, 2010). Isopraxism has been used to describe instances where identifiable institutional forces lead to new and different action within specific organisational and social instances. In our setting, isopraxism would accommodate a finding of a move toward more integrated approaches to reporting, even though there may not be a core group of disclosures common across the organisations. In the presence of isopraxism, such change might occur even though organisations need not necessarily label reports as ‘integrated’, nor join the IIRC’s pilot programme (Erlingsdottir & Lindberg 2005; Harding 2012, Stensaker et al., 2010). In this way, isopraxism would lead to predictions which complement isomorphism, with the latter grounded in notions of homogeneity. Extending the institutional theory literature in these ways, enables researchers to gain a better understanding of when and how the travelling of ideas can lead to homogeneity and heterogeneity (Lamb & Currie, 2011; Sahlin & Wedlin, 2008). We explore the explanatory potential of these tenets of institutional theory in our setting. Given the key research objective for this study, we use a qualitative ‘case-study’ informed by thematic content analysis (see Beattie, McInnes & Fearnley, 2004) as the primary approach for collecting and analysing the data. In doing so, we were mindful of the difficulties of unequivocally documenting the evolution in reporting toward more integrated approaches. As such, we examined various aspects of the narratives contained in the reports, paying particular attention to their discussion of the nature of their social investment and alignment with the companies’ overall strategy to create value. We also reviewed the relative emphasis, in language, space allocation and prominence of placement of information related to social investment and the extent to which the reports demonstrated the integration of social investment information with traditional notions of value creation such as short to medium term financial success, risk and business strategy. Our approach offers two specific advantages. First, it enables the content of reports to be examined and understood within the context of an increasing demand for broader information about companies and the introduction of <IR>. By doing so, we are able to understand whether and why (or why not) our sample companies might differ in their reporting journey relative to non <IR> pilot companies. Second, the qualitative case-based approach used in this study enables the investigation to be conducted in a manner that is not constrained by the assumption that business reporting change is necessarily a story of direct evolutionary progress from the ‘primitive’ past to the ‘more sophisticated’ present (Carnegie & Napier, 1996; Carson & Carson, 1998; Parker, 1999). In the present study, such an assumption would almost certainly lead to the a priori assumption that all organisations can, and should, unquestioningly adopt more integrated reporting approaches. The case companies and reports examined are set out in Tables 1 and 2. Two of the companies, Heineken and Unilever, are part of the United Nations Global Compact (UNGC) LEAD program, a group of about fifty highly engaged companies challenged to implement the Blueprint for Corporate Sustainability Leadership across the globe (see Table 2). Two of the companies, Unilever and NAB, participated in the Integrated Reporting pilot project. GSK participated in neither the UNGC LEAD program nor the <IR> pilot. The period for our analysis is 2009-2013. This covers the period prior to the formal introduction of <IR>, since there is evidence to indicate that the broadening of company reporting predates the IIRC Framework (KPMG, 2011). Further, our period of interest includes the establishment of the IIRC in 2011, the beginning of the IR pilot program and the development and release of the <IR> Framework in 2013. The presence of isomorphic pressures would suggest those companies involved in the integrated reporting pilot would be leading in the adoption of integrated approaches to reporting which more clearly recognise the value of social investment initiatives followed by those in the UNGC program. That is, Unilever reports would demonstrate greater: (i) discussion of the nature of their social investment and alignment with the companies’ overall strategy to create value; (ii) relative emphasis, in language, space allocation and prominence of placement of information related to social investment and the extent to which the reports demonstrated the integration of social investment information with traditional notions of value creation such as short to medium term financial success, risk and business strategy. Next would be the NAB, followed by Heineken perhaps in light of its participation in the UNGC LEAD program, then GSK. Such an assumption however ignores the possibility of isopraxism, when companies such as GSK could be influenced by these reporting trends more indirectly and interpret and apply these broader trends in different ways. In order to provide an external referent for our understanding of the extent of disclosure across different industries and operating contexts across time, we draw from the guidelines produced by the United Nations Global Compact Principles for Social Investment Secretariat (PSIS), which seek to promote corporate social investments that are purposeful, accountable, respectful and ethical. The Guidelines clarify the conditions under which social investments can be said to meet these objectives. In using the Guidelines in this way and as one of several techniques of analysis used in this study, we acknowledge they are neither mandatory nor necessarily institutionalised as part of the corporate reporting landscape, having only been developed in recent years. Given the developing nature of the literature in this field and since our interest is in the reporting of social investment rather than evaluating the underlying activity, a simple binary coding scheme was used to subjectively assess whether the set of reports for a given firm and year demonstrated behaviours required by the PSIS guidelines (see list in Table 3). Table 3 shows the unweighted sum of demonstrated qualities for each firm-year. Disclosure indexes speak more directly to the quantity of disclosure, rather than quality (Marston & Shrives, 1991), and in this sense are one dimensional, testing, in our case, only the ability and willingness of companies to report on various aspects of social investment at or above a minimum threshold specified by the PSIS. Our aim is to understand the nature and type of disclosure, which is more complex than can be assessed against a single disclosure index alone (Beattie et al., 2004). For this reason the thematic content analysis was undertaken to assist our understanding of the changes in the overall narrative the businesses presented to stakeholders (Beattie et al., 2004). Reports were subjectively hand-coded by one member of the research team, and text excerpts for various codes were validated by other members of the research team for reliability. In this section we report on our qualitative analysis of disclosures and the results of our analysis against the PSIS Guidelines which are summarised in Table 3. As shown in Table 3 all four companies seem to have changed the ways in which their social investment activities are reported, increasing their disclosure across the period. We note that the changes occur across all four companies, and are not obviously driven by participation in the IIRC pilot or UNGC LEAD involvement. The largest change over the period can be seen for NAB, followed closely by Heineken. This provides some general context for the more in-depth examination of the reporting by each company (next). There is a dramatic shift in the presentation of GSK’s reports between 2009 and 2011, possibly connected with the appointment of a new CEO in 2008, Andrew Witty, who introduced the Access to Medicines programme to flexibly price drugs for different markets and tailor approaches for developing and emerging countries, as well as changes to patents to speed research, more open research facilities to foster collaboration, and other GSK endeavours. The 2009 annual report sets “diversification into the developing world” as one of GSK’s three strategic priorities, moving away from reliance on the “white pill/western market” model, and states that “fulfilling social responsibilities” is an essential part of being a successful and sustainable business (2009a, p.4). Community engagement initiatives get a dedicated 3-page section of the report (p.21-23) describing efforts to improve access to medicine, combat diseases of the developing world, engage in humanitarian relief and facilitate community work by employees. However, while the firm’s commitment to social impact is evident in 2009, there was little evidence that such issues were embedded into existing reporting approaches. The GSK report for that year is very traditional, with a reporting narrative that re-enforced the primacy of the financial/operational dimensions and drivers of performance. In the reports reviewed since 2009 there is a discernible shift in the reporting narrative provided by GSK. Even though the company is neither a participant in the UNGC LEAD program, nor part of the <IR> Pilot, more recent GSK reports are characterised by a clearer recognition of the connection between GSK’s business operations and their responsibility to improve the health and well-being of those in the developing world. This is embodied in their mission to “improve the quality of human life by enabling people to do more, feel better and live longer” (2012a, inside cover). 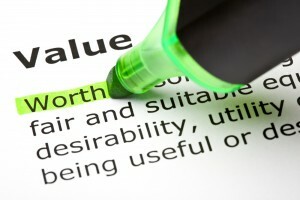 The 2011 report features a section dedicated to “how we create value” that justifies the pursuit of making products “available and affordable to people who need them wherever they live” in terms of social, ethical and commercial rationale: “not only because society expects us to and it is the right thing to do, but also because it is good for our business” (2011a, p 5). The shift from a performance story to a more integrated and human-centred value creation story aligned with strategy and business benefits also comes across in the structure of the reports. The 2009 report starts with financial performance, while the 2011 report leaves performance for page 8, after sections entitled “what we do”, “where we do it”, “how we create value”, and “how we deliver”. Attempts to link financial success with the improvement in human lives flow through the annual reports. It is highlighted in both the CEO and Chairman’s statements in the 2012 report. For example, the company notes that creating a positive impact in peoples’ lives motivates employees; that GSK is committed to researching new and better treatments for diseases that impact the developing world; that the company is “actively seeking new ways of delivering healthcare and making products affordable to people who need them wherever they live” (2011a, p.5). The connection between responsibility and success is strongly underscored in the Chairman’s 2013 statement, which reports “no doubt that commercial success is directly linked to operating in a responsible way and which meets the changing expectations of society” (2013a, p.2). Focus on growth in emerging markets is a major business priority for GSK. One of the company’s key social investment initiatives is the Access to Medicines program, wherein the company seeks to grow its business in the developing world through keeping prices at no more than 25% of the developed world price. This demonstrates how their business strategy embeds social impact and sustainable growth, rather than focusing on sustainability or on financial results in isolation. “Operating responsibly” is one of GSK’s three core values, and its instrumental value to the firm’s financial success is openly communicated. 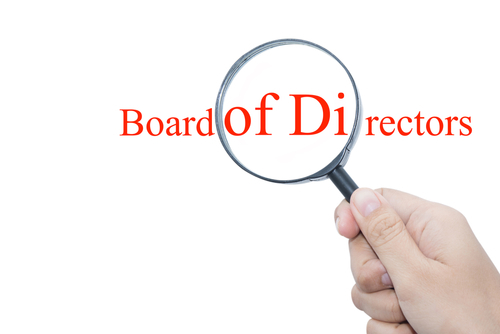 The annual report features a dedicated responsible business review section (2011a, pp. 44-50; 2012a, pp.39-54; 2013a, pp.50-57) focusing on themes of “health for all” (access in developing world, vaccines programme), “people and communities” (recruiting, developing and engaging employees); “diversity” (healthy and high-performing workforce with zero harm; work with communities), “our behaviour” (ethical conduct), and “our planet” (carbon, water, waste, stewardship, management, all with targets specified for achievement by 2020). Environmental reporting efforts include footprinting key products and greening the supply chain. We invest in R&D for medicines and vaccines to meet patient needs around the world and make them more available and affordable through preferential pricing arrangement and voluntary licences (p.3). To maximise the impact of our support, we select programmes that are designed to be sustainable for the long term, partner with local and global organisations (GSK, 2013b, p.31). We conducted a formal materiality assessment to prioritise the issues that are most important to our business and our stakeholders. We used the findings of stakeholder engagement we have conducted over the last two years to assess the importance of specific issues to different groups of stakeholders, as well as looking at how important each issue is to our business – our values, our strategy and our products (GSK, 2013b, p.72). We believe that improving patient access to medicines and vaccines is not just for patient benefit but is also key to the longer-term success of the business (2013a, p.26). This long term focus and collectivism implicit in later reports by the company is consistent with both the stewardship framework and the need to manage multiple capitals as required under <IR>. In later publications, employee volunteer efforts are explicitly connected to longer term benefits to the company including enhanced employee retention, and by implication, value creation for the organisation: employees participating in NGO secondments “were found to be 21% more likely to change roles and 41% less likely to leave GSK (compared to the overall employee population in the same countries)” (2013b, p.54). GSK is unique amongst the cases in the sense that it has shifted its reporting toward recognising multiple dimensions of performance and the connections between them, seemingly without any official or formal association with the move to <IR>. Its more recent reports include entire sections devoted to the principles behind its community investments that explicitly address many of the qualities in the PSIS framework as well as several of the Guiding Principles contained in the <IR> Framework. This is reflected in graphics for community investment showing expenditure by type and sector, as well as detailed narrative information explaining how their programmes are designed to have long-term, sustainable impact, achieved through ambitious commitments with experienced partners. GSK seeks to maximise benefit by partnering with NGOs and specifically selecting products that allow the application of GSK expertise and resources (2011a, p. 48). Separate sections of the narrative are devoted to benefiting communities, improving reputation, boosting morale and building relationships. We invest through financial donations, employee volunteering, non-commercial sponsorships and long-term partnerships with community organisations addressing social issues. Our support is based on three building blocks: direct contributions made locally, shared-value projects and the Heineken Africa Foundation. A somewhat different picture of success apparently aimed at different stakeholders is presented in the separate sustainability reports produced by Heineken over the period examined (Heineken, 2009b, 2011b, 2012b, 2013b). Perhaps reflective of the challenges of truly integrating multiple dimensions of performance within the one report, the annual sustainability report for the company grew over the period from a 56-page printed publication in 2009 to a lengthy web-based presentation in 2011 (132 pages when printed) and 2012 (304 pages when printed). This returned to a somewhat leaner 143-page presentation in 2013. In most years, the key messages in the company’s sustainability reports focus largely on how the company is reducing the negative impact of its products – perhaps a consequence of the nature of the industry. It highlights promotion of responsible drinking, 5% reduction in carbon emissions, 4% reduction in water use, and the addition of three solar energy projects (2011b). Heineken acknowledges that the impact they have in communities is largely mediated through their suppliers and distributors, so much of their effort is focused on their expanded supply chain, including expanding local sourcing of raw materials in Africa toward 60% target by 2020, and implementing farm training affecting 30,000 African households. They have established supplier codes based on the United Nations Global Compact to ensure alignment between the UNGC ten principles and the policies and approaches of suppliers. Heineken asserts sustainability to be “an integral part of our strategy alongside our other commercial and business imperatives” (2012b, p.4), but the reports do not draw clear links between various dimensions of sustainability and longer term financial success until 2013, when the language of “creating shared value” is adopted. In this report, value created for suppliers (including farmers) is presented alongside four different forms of value for Heineken: long term and secure sustainable source of raw materials; reduced exposure to unavailability or potential volatile prices; reduced transport cost, shortened supply chain; and reduced carbon footprint (2013b, 64). A substantial stakeholder engagement process in 2009 led Heineken “to undertake a complete review of our sustainability and responsibility agenda with the idea of building a stronger, longer-term approach” (2009a, p.17). They make a clear connection between sustainability and reputational risk (2009a, p.17), and report on a reputational survey with critical stakeholders to identify and mitigate risk (2009a, p.46) as well as a code of business conduct, a whistle blowing procedure, and from 2012 a supplier code (2012a, p.23). A ‘Green Gauge’ scorecard was developed to track performance against each of the three strategic imperatives (improving environmental impact, empowering people and communities, and positively impacting the role of beer in society) and their enablers on a quarterly basis (2011a, p.17). By 2013, each of the four priority areas are given ten-page sections in the sustainability report subdivided into “why this is important” “our priorities”, “actions and results” and “case studies”(2013b). 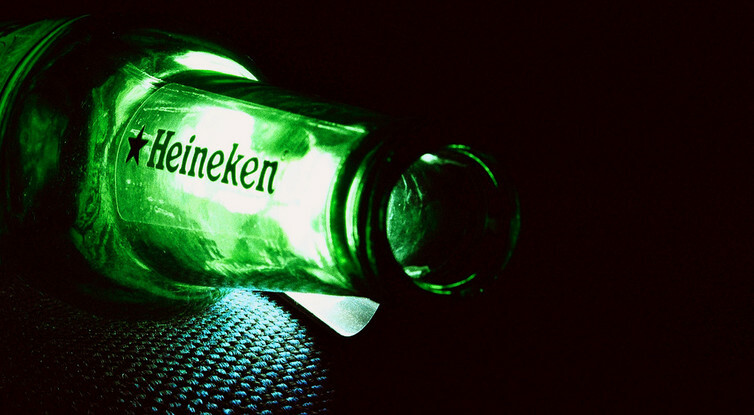 Notwithstanding the above, until 2013 the sustainability-related information reported by Heineken failed to extend beyond the strictly instrumental and was explicitly linked to maintaining a social license to operate. Their reporting choices were tied to creating value that the company can directly recapture, such as HIV treatment for employees of their suppliers in Africa (2009b, p 33) and supporting local agriculture through the promotion of contract farming of sorghum and malt for their breweries. This is framed as “another example of how Heineken works with local communities to help the farming industry, which in turn helps our business (2009b, p.25)”, but there is little suggestion that helping farmers is more than a happy side effect of reducing costs, or that this is actually aligned with the communities’ needs. While on the surface it appears the company is recognising the linkages, the sustainability programme seems primarily focused on reducing Heineken’s negative social impact. By 2013, both the annual and sustainability reports reflect a more collectivist understanding of the relationship between sustainability and other business priorities. For example, the company states that is seeks to “embed and integrate sustainability” (2013a, p.1) to create “real sustainable value for all our stakeholders”, allowing the company to “achieve its other five business objectives” (2013b, p.9). As part of this move, a stakeholder and partnership strategy is described by which Heineken will “actively engage partners including other companies, NGOs and government to assist us in reaching people and increasingly the effectiveness of the message” (2013b, p.13). Community investment in the form of financial donations, sponsorships, employee volunteering and “long-term partnerships with community organisations addressing social issues…[is] based on three building blocks: direct contributions made locally, shared-value projects and the Heineken Africa Foundation” (2013b, p.100). The stakeholder organisations and corresponding types of engagement get a dedicated five-page section. Third party socio-economic impact assessments for selected African markets show EUR2.8 billion in added value to the local economies and more than 1.6 million direct and indirect jobs across the continent (2013b, p.107). As described in this section, the reports prepared by Heineken in 2013 differ in important ways to the company reports from earlier years and also to the reports produced by GSK. There are similarities in the sense that both companies increasingly acknowledge the interchange between sustainability and financial performance, while specific reporting approaches differ there are similarities to the reporting journey observed for GSK. During this period, neither company was part of the formal <IR> Pilot, nor did they prepare an ‘integrated’ report. NAB published a wide range of information products in 2009: a 26 page Annual Shareholder Review, a 160 page Annual Financial report, a 28 page Annual Corporate Responsibility Review, and an 18 page GRI Index to find its complying disclosure across these products (NAB, 2009a, 2009b, 2009c, 2009d). By 2011 (after publishing their first integrated report in 2010), NAB offered a comparatively brief 42 page Annual Review, supplemented by a 6 page explanation of its approach to Corporate Responsibility and supplementary web-based Dig Deeper reports on particular topics (NAB, 2011a, 2011b). This pattern continued in 2012 and 2013 (NAB, 2012, 2013a, 2013b). This constituted a clear shift in reporting, both in terms of the specific reports prepared and the integration of the information contained therein. At the heart of the NAB group is a belief in potential. This belief motivates us to make a positive and sustainable impact in the lives of our customers and communities and underpins a strong and sustainable business for our shareholders (NAB, 2009b, p.1). The report’s summary infographic presents financial performance as “Our results” alongside customer, people community, environment, supply chain performance as “Our Impact” (2009b, p.1); the same information is presented in the Corporate Responsibility Review, with the columns reversed to show “Our Impact” to the left of “Our Results”. The 2013 Annual review presents two pages of group non-financial performance 2011-13 ahead of financial performance for the period. “This is an important contribution to society and to our business. It creates new and deeper relationships with our customers, boosts employee engagement and builds our reputation” (2012b, p.5). … the industry in opening Australia’s first community finance store, Good Money, in partnership with the Victorian Government and Good Shepherd Microfinance. The store provides financially excluded Australians with access to microfinance products, financial counselling and other community services (2012a, p.18). As discussion in this section shows, the multiple reports prepared by NAB have been consistent in seeking to acknowledge and recognise multiple dimensions of performance. Social impact of organisational operations is routinely linked with the financial dimensions of performance. The reports are also more concise consistent with the components of the <IR> Framework. Unilever’s health and hygiene programmes harness the power of our marketing to change behaviours. The ‘social mission’ of brands means such action is integrated with brand strategies, not simply a philanthropic add-on (2009a, p. 26). 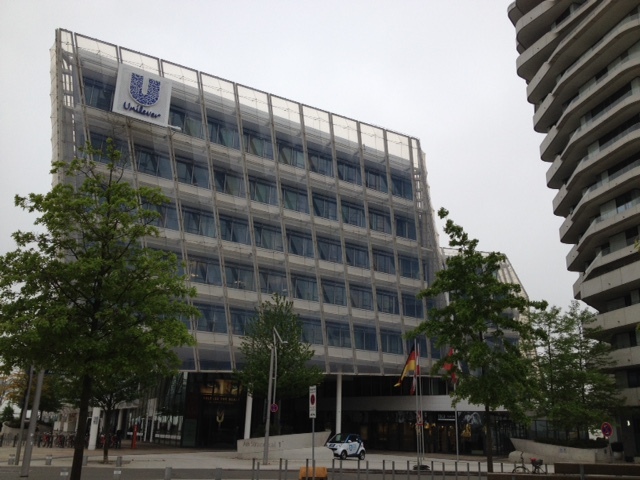 According to the company, over time this shifts to a more collaborative model of change, with Unilever in an enabling catalyst role to help make “sustainable living desirable and achievable by inspiring people to help build a world where everyone lives well and within the natural limits of the planet.” (2013a, p.7). [i]dentifying and addressing social and environmental concerns is essential to the long-term success of Unilever … handling these aspects of our operations well not only represents sensible management of risk, but presents new opportunities for business growth” (2009a, p.26). …driving waste and inefficiencies out of the system and helping us transform the supply chain … [and] grow our business in a responsible and equitable way… [which] is benefiting all our stakeholders, including our shareholders. (2013a, p.6). Unilever underwent a change of CEO and direction in 2009, which came to be called the ‘Compass Strategy’, in which the business strategy was refocused “around the need to develop solutions to some of the world’s most deep-seated social and environmental challenges, the Unilever Sustainable Living Plan is motivating employees and inspiring a growing number of customers and suppliers to partner with us” (2013a, p.4). The 40-page ‘Sustainable Living Plan’ (USLP) was introduced as a stand-alone document in 2009, with annual Progress Reports thereafter (Unilever, 2009b, 2011b, 2012b, 2013b). The USLP is introduced in the 2011 Annual Report as an essential part of their business model and a tool to embed social and environmental business practices through strategic decision making and partnerships. This integration is reflected in the text of reports produced since 2011, as well as the design and placement choices, such as presenting ‘Key Non-Financial Indicators’ directly alongside other key metrics in the overview text and tables. Risks related to sustainability and ethics are presented alongside other business risks. Particular programmes are presented in the context of the larger business model and financial performance metrics, such as the ‘Shakti Direct Distribution Network’ of Indian female micro entrepreneurs adding €80 million in incremental turnover, the ‘Hygiene Education Programme’ implemented in Vietnamese schools contributing to a 4.1% volume growth in the Vietnamese market, and the cost of the UK group’s community involvement activities using London Benchmarking Group model (broken down into charitable donations, community investment, and commercial initiatives). As with Heineken, the company prominently features external certification, in this case receiving the 6th International Green Award (2011a, p.4). Our analysis indicates both homogeneity and heterogeneity in reporting practices adopted by our sample companies. Regarding homogeneity, the Unilever and NAB reports clearly seek to demonstrate an integration of social investment and sustainability practices with strategic planning such that those practices are embedded as a means to success rather than an obstacle. This approach is consistent with the International <IR> Framework, perhaps not surprisingly, since both of these companies are in the IIRC pilot. So while specific disclosures differ across companies, this enhanced integration is exactly what the International <IR> Framework calls for and is suggestive of isomorphism tendencies. While difficult to quantify, it is clear that there was a shift in reporting by these companies during the period examined. During a time when the concept of integrated reporting was workshopped heavily and the Framework developed, discussed and debated, two of our sample companies became part of the <IR> Pilot Program. Notwithstanding the broad, non-prescriptive nature of the Framework, both companies changed their reporting approach in predicted ways. While there is general evidence that all four of our focus companies are seeking to better communicate the value of social investment to the business and their stakeholders and the linkages with corporate strategy, specific reporting approaches vary –indicating the existence of isopraxism. Heineken appears to follow the most traditional reporting approach, relying heavily on certification of its business practices by external arbiters as a means of demonstrating its community credentials, rather than through direct demonstration of value added through its social practices. Further suggestive of isopraxism, GSK, Heineken and NAB reporting underwent significant transformation in approach and content of the reports over the period studied, all shrinking to more concise and consistent presentation formats with clearly human-centred value creation stories, but did so in different ways. NAB for example, moved from four separate publications to a single summary publication with in-depth supplemental reports. GSK continues to publish separate Annual Reports and Corporate Responsibility Reports, with the latter shrinking from 361 pages to 75 pages. Both publications are more accessible and visually appealing. Heineken dropped 150 pages from its sustainability report, introduced a “Concise Stakeholder Engagement and Partnership Strategy”, and introduced extended discussion of value creation in its operations. These outcomes are tightly consistent with the Guiding Principles contained in the <IR> Framework. As a third indication of isopraxism, the most significant reporting transformation amongst the cases is by GSK, a firm that makes no claim to implement integrated reporting by name, and has not been involved in the pilot project. This suggests that the idea of connecting firm financial performance and value creation more broadly, to the improvement of human lives is being translated and adopted in different ways, resulting in diverse reporting practices. While many of the desired outcomes for <IR> were observed in nascent form, the connection of value creation through social investment back to financial performance remains sporadic across the documents examined. For example, none of the reports reviewed attempted to close the circle between social and environmental programs and initiatives and reduced costs (for instance reduced costs on recruitment if employees are satisfied). Perhaps predictably given their <IR> Pilot program involvement, Unilever and NAB came close to doing so by attributing growth or improved retention and engagement to selected social investment programmes. In the absence of deeper information, it is impossible to know whether these linkages were simply not seen, or were instead excluded because of the difficulty of attributing and valuing them. Stewardship theory provides a basis for predictions as to why companies might engage in social investment, and there is some indication of our sample companies reporting greater commitment to the long term and collective self-serving – consistent with the theory. However, the theory does not explain why changes in the reporting of these activities might occur over time. Specific dimensions of institutional theory, namely isomorphism and isopraxism, provide explanations of these changes. Many discussions of social investment outcomes stop at practical challenges involved with measuring and communicating value. That no company did this during the period examined, suggests that effectively reporting the value created by social investment may simply be too difficult to implement across industries and organisations. It is equally possible that <IR> does not necessarily ensure that reports represent the broader dimensions of corporate activity any more effectively than existing alternative forms of reporting, since firms are simply not yet sufficiently progressed in integrating their social investment activity with strategy to determine and report the value created. Further, as discussed earlier, there are a range of internal organisational factors influencing corporate reporting (Adams, 2002). Our evidence indicates that the IIRC pilot companies do only moderately better at reporting social investment, primarily – and importantly – in more clearly linking it with strategy. However, while significant enhancements in reporting are identifiable for all four companies in our sample, in each case there remain many information gaps that make it challenging to critically and comparatively assess the contribution of social investment to the company’s value-creation story. Why might that be, and what does it tell us about how much companies are willing, or have the know-how, to reveal? Our findings suggest a complex interplay between stewardship and institutional theories and behaviours. GSK and Unilever appear to have aggressively sought new market opportunities through a focus on growth in emerging markets, while at the same time, demonstrating stewardship behaviours in exploiting those opportunities. These firms have each made a range of voluntary choices to symbolically distinguish themselves as a responsible company, such as adopting the United Nations Global Compact, the GRI, guidelines or joining the IIRC’s <IR> Pilot Programme. Why would they shy away from maximum display of stewardship in their annual reports? Perhaps the answer lies in the inherent vulnerability of pure stewardship. Positions and targets co-mixed in public communications reduce a business’ flexibility, leaving it vulnerable and there is a perception that it reduces competitiveness. Our analysis indicates that across our sample companies, there has been an identifiable shift in reporting on social investment. While there is greater focus on demonstrating the linkages between the multiple (e.g. social, environmental and financial) dimensions of their activities, there is both homogeneity and heterogeneity in reporting approaches observed. Our findings suggest that both isomorphism and isopraxism are relevant, but our evidence is preliminary, as (the drivers of) reporting are complex and location specific. We believe this is an important contribution to the literature. Further, a key message in this study is that the pressures for greater integration of multiple dimensions of company performance were translated and applied by companies in different ways resulting in discernible changes to reporting which differed in their detail. Our results show that there is a move towards integrated reporting – whether explicitly stated or not. Companies are starting to think about their social investment activities in terms of value creation and are linking them to strategy. We conclude that integrated reporting offers significant potential for changing how organisations think about their social investments. We see potential for further research focussing on changes in reporting by those companies not explicitly identifying with the <IR> movement to complement the growing body of research examining the content of integrated reports. Future research might also explore the means by which ideas and trends affecting corporate reporting on specific issues, such as social investment, travel and are translated and applied within firms. For example, do changes in reporting practice change the way companies engage with broader stakeholders and think about their social investment (or other) activities? Further, little is known about the usefulness of more integrated approaches to reporting information to investors and other stakeholders. Such usefulness is asserted with fervour in key advocacy documents (e.g. IIRC, 2012), and while the phenomenon is intuitively appealing, given the newness of <IR>, there is a lack of empirical evidence to clearly establish the usefulness of this approach to reporting information. Adams, C. A. (2002). Internal Organisational Factors Influencing Corporate Social and Ethical Reporting: Beyond Current Theorising. Accounting, Auditing & Accountability Journal, 15 (2), 223-250. Adams, C. A. (2004). The Ethical, social and environmental reporting – performance portrayal Gap. Accounting, Auditing & Accountability Journal. 17 (5), 731-757. Adams, C. A. (2013a). Integrated reporting – what it is – and is not: an interview with Paul Druckman, Available at: http://drcaroladams.net/integrated-reporting-what-it-is-and-is-not-an-interview-with-paul-druckman/ (accessed 23.08.14). Adams, C.A. (2015). The International Integrated Reporting Council: A call to action. Critical Perspectives on Accounting, 27, 23-28. Adams, C. A., Frost, G. R. (2008). Integrating sustainability reporting into management practices. Accounting Forum. 32 (4), 288-302. Adams, C. A., Harte, G. F. (1998). The changing portrayal of the employment of women in British banks’ and retail companies’ corporate annual reports. Accounting, Organizations and Society, 23 (8), 781-812. Adams, C. A., McPhail, K. J. (2004). Reporting and The Politics of Difference: (non)Disclosure on Ethnic Minorities.. Abacus, 40 (3), 405-435. Adams, C. A., Whelan, G. (2009). Conceptualising Future Change in Corporate Sustainability Reporting. Accounting, Auditing & Accountability Journal, 22 (1), 118-143. Beattie, V., McInnes, B., Fearnley, S. (2004). A Methodology for Analysing and Evaluating Narratives in Annual Reports: A Comprehensive Descriptive Profile and Metrics for Disclosure Quality Attributes. Accounting Forum, 28 (3), 205-236. Brown, J., Dillard, J. (2014). Integrated Reporting: On the Need for Broadening Out and Opening Up. Accounting, Auditing & Accountability Journal 27 (7), 1120-1156. Carnegie, G. D., Napier, C. J. (1996). Critical and Interpretive Histories: Insights Into Accounting’s Present and Future Through its Past, Accounting, Auditing & Accountability Journal, 9 (3), 7-39. Carpenter, V.L., (1991). The Influence of Political Competition on the Decision to Adopt GAAP, Journal of Accounting and Public Policy, 10 (2), 105-134. Carpenter, V.L., Feroz, E.H. (2001). Institutional Theory and Accounting Rule Choice: An Analysis of Four US State Governments’ Decisions to Adopt Generally Accepted Accounting Principles. Accounting, Organizations and Society, 26 (7-8), 565-596. Carson, P. P., Carson, K. D. (1998). Theoretically grounding management history as a relevant and valuable form of knowledge. Journal of Management History (Archive), 4 (1), 29-42. Cheng, M., Green, W., Conradie, P., Konishi, N., Romi, A. (2014). The International Integrated Reporting Framework: Key Issues and Future Research Opportunities. Journal of International Financial Management & Accounting, 25 (1), 90-119. Clarkson, P. M., Li, Y., Richardson, G. D., Vasvari, F. P. (2008). Revisiting the Relation Between Environmental Performance and Environmental Disclosure: An Empirical Analysis. Accounting, Organizations and Society, 33 (4–5), 303-327. Davis, J. H., Schoorman, F. D., Donaldson, L. (1997). Toward a Stewardship Theory of Management. Academy of Management Review, 22 (1), 20-47. Deegan, C., Rankin, M. (1996). Do Australian Companies Report Environmental News Objectively? : An Analysis of Environmental Disclosures by Firms Prosecuted Successfully by the Environmental Protection Authority. Accounting, Auditing & Accountability Journal, 9 (2), 50-67. DiMaggio, P.J., Powell, W.W. (1991). The Iron Cage Revisited: Institutional Isomorphism and Collective Rationality in Organization Fields. in W.W. Powell and P.J. DiMaggio (eds) The New Institutionalism in Organizational Analysis, Chicago: University of Chicago Press. Donaldson, L., Davis, J. F. (1991). Stewardship Theory or Agency Theory: CEO Governance and Shareholder Return. Australian Journal of Management, 16 (1), 49-65. Eccles, R. G. Krzus, M. P. (2010). 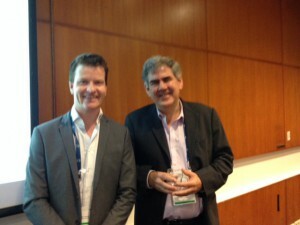 One Report: Integrated Reporting for a Sustainable Strategy, N.J: John Wiley & Sons. Eccles, R. G., Saltzman, D. (2011). Achieving Sustainability Through Integrated Reporting. Stanford Summer Innovation Review, pp. 56-61. Erlingsdottir, G., Lindberg, K. (2005). Isomorphism, and Isonymism: Complimentary or Competing Processes?, in Czarniawska, B., Sevon, G., Global Ideas: How Ideas, objects and Practices Travel in the Global Economy, Denmark: Copenhagen Business School Press. GlaxoSmithKline (GSK). (2009a). Annual Report. available at: http://www.gsk.com/media/279942/annual-report-2009.pdf (accessed March 16, 2016). GlaxoSmithKline (GSK). (2009b). Corporate Responsibility Report. available at: http://www.gsk.com/en-gb/responsibility/responsibility-reports-and-data/reporting-archive-and-resources/ (accessed March 16, 2016). GlaxoSmithKline (GSK). (2011a). Annual Report for Shareholders, available at http://www.gsk.com/en-gb/investors/corporate-reporting/corporate-reporting-archive/2011/annual-report-2011/, (accessed March 16, 2016). GlaxoSmithKline (GSK). (2011b). Corporate Responsibility Report. available at: http://www.gsk.com/en-gb/responsibility/responsibility-reports-and-data/reporting-archive-and-resources/, (accessed March 16, 2016). GlaxoSmithKline (GSK). (2012a). Annual Report. available at http://www.gsk.com/en-gb/investors/corporate-reporting/corporate-reporting-archive/2012/annual-report-2012/, (accessed March 16, 2016). GlaxoSmithKline (GSK). (2012b). Corporate Responsibility Report. available at: http://www.gsk.com/en-gb/responsibility/responsibility-reports-and-data/reporting-archive-and-resources/, (accessed March 16, 2016). GlaxoSmithKline (GSK). (2013a). Annual Report. available at: http://www.gsk.com/media/325156/annual-report-2013.pdf, (accessed March 16, 2016). GlaxoSmithKline (GSK). (2013b). Corporate Responsibility Report. available at: http://www.gsk.com/en-gb/responsibility/responsibility-reports-and-data/reporting-archive-and-resources/, (accessed March 16, 2016). Global Reporting Initiative (GRI), University of Hong Kong and CSR Asia. (2008). Reporting on Community Impacts, in Global Reporting Initiative. Available at https://www.globalreporting.org/resourcelibrary/Reporting-on-Community-Impacts.pdf, accessed March 16, 2016. Gray, R., Adams, C. A., Owen, D. (2014). Accountability, Social Responsibility and Sustainability, Pearson. Harding, T. (2012). How to Establish a Study Association: Isomorphioc Pressure on New CSOs Entering a Neo-Corporative Adult Education Field in Sweden, Voluntas, 23, 182-203. Heineken. (2009a). Annual Report. available at: http://www.theheinekencompany.com/investors/reports-and-presentations?tab=financials, (accessed 16 March, 2016). Heineken. (2009b). Sustainability Report. available at: http://www.theheinekencompany.com/sustainability/reporting?tab=sustainability (accessed 16 March 2016). Heineken. (2011a). Annual Report. available at: http://www.theheinekencompany.com/investors/reports-and-presentations?tab=financials, (accessed 16 March, 2016). Heineken. (2011b). Sustainability Report. available at: http://www.theheinekencompany.com/sustainability/reporting?tab=sustainability, (accessed 16 March 2016). Heineken. (2012a). Annual Report. available at: http://www.theheinekencompany.com/investors/reports-and-presentations?tab=financials, (accessed 16 March, 2016). Heineken. (2012b). Sustainability Report. available at: http://www.theheinekencompany.com/sustainability/reporting?tab=sustainability (accessed 16 March 2016). Heineken. (2013a). Annual Report. available at: http://www.theheinekencompany.com/investors/reports-and-presentations?tab=financials (accessed 16 March, 2016). Heineken. (2013b). Sustainability Report. available at: http://www.theheinekencompany.com/sustainability/reporting?tab=sustainability, (accessed 16 March 2016). Higgins, C., Stubbs, W., Love, T. (2014). Walking the Talk(s): Organisational Narratives of Integrated Reporting. Accounting, Auditing & Accountability Journal, 27 (7), 1090-1119. Hopwood, A. G. (2009). Accounting and the environment. Accounting, Organizations and Society. 34 (3–4), 433-439. IMA, Association of Chartered Certified Accountants (ACCA), (2016), From Share Value to Shared Value: Exploring the Role of Accountants in Developing Integrated Reporting in Practice, IMA/ACCA, available at: http://www.imanet.org/docs/default-source/default-document-library/from-share-value-to-shared-value_01-19-16.pdf?sfvrsn=0, (accessed March 16, 2016). International Centre for Corporate Social Responsibility (ICCSR). (2007). The Role of Stakeholder Engagement in Corporate Community Investment, in. Charities Aid Foundation / International Centre for Corporate Social Responsibility, Nottingham. International Finance Corporation. (2007). Strategic Community Investment Quick Guide, in. IFC, Washington. International Integrated Reporting Council and Black Sun. (2014). Realizing the Benefits: The Impact of Integrated Reporting, available at: http://integratedreporting.org/wp-content/uploads/2014/09/IIRC.Black_.Sun_.Research.IR_.Impact.Single.pages.18.9.14.pdf, (accessed March 16, 2016). International Integrated Reporting Council. (2013). International <IR> Framework, available at: http://integratedreporting.org/wp-content/uploads/2013/12/13-12-08-THE-INTERNATIONAL-IR-FRAMEWORK-2-1.pdf (accessed 16 March, 2016). International Integrated Reporting Council (IIRC). (2012). Understanding Transformation: Building the Business Case for Integrated Reporting. available at: http://bestpractice.blacksunplc.com/corporate/iirc_understanding_transformation/projet/BUILDING-THE-BUSINESS-CASE-FOR-INTEGRATED-REPORTING.pdf, (accessed 16 March 2016). KPMG. (2011). Corporate Sustainability: A progress report. available at: http://www.kpmg.com/Global/en/IssuesAndInsights/ArticlesPublications/Documents/corporate-sustainability-v2.pdf, (accessed 16 March, 2016). KPMG. (2012). Expect the Unexpected: Building Business Value in a Changing World. Available at: http://www.kpmg.com/Global/en/IssuesAndInsights/ArticlesPublications/Documents/building-business-value.pdf, (accessed March 16, 2016). Lamb, P., Currie, G. (2011). Eclipsing Adaptation. The Translation of the US MBA Model in China. Management Learning, 43 (2), 217-230. Lang, M., Lundholm, R. (1996). Corporate Disclosure Policy and Analyst Behavior. The Accounting Review, 71, 467-492. Larrinaga-González, C., Carrasco-Fenech, F., Caro-Gonzalez, F., J, Correa-Ruýz, C. and Paez-Sandubete, J.M. (2001). The Role of Environmental Accounting in Organizational Change: An Exploration of Spanish Companies. Accounting, Auditing and Accountability Journal, 14(2), 213-239. Lev, B., Petrovits, C., Radhakrishnan, S. (2010). Is Doing Good Good for You? How Corporate Charitable Contributions Enhance Revenue Growth. Strategic Management Journal. 31 (2), 182-200. Marston, C. L., Shrives, P. J. (1991). The Use of Disclosure Indices in Accounting Research: A Review Article. The British Accounting Review, 23 (3), 195-210. National Australia Bank (NAB). (2009a). Annual Financial Report. available at: https://www.nab.com.au/about-us/shareholder-centre/financial-disclosuresandreporting/reports-and-presentations/annual-reports-archive, (accessed March 16, 2016). National Australia Bank (NAB). (2009b). Annual Shareholder Review. available at: https://www.nab.com.au/about-us/shareholder-centre/financial-disclosuresandreporting/reports-and-presentations/annual-reports-archive, (accessed March 16, 2016). National Australia Bank (NAB). (2009c). Corporate Responsiblity Review. available at: http://cr.nab.com.au/docs/2009-corporate-responsibility-review.pdf (accessed March 16, 2016). National Australia Bank (NAB). (2009d). GRI Index 2009. available at: https://www.nab.com.au/about-us/shareholder-centre/financial-disclosuresandreporting/reports-and-presentations/annual-reports-archive (accessed March 16, 2016). National Australia Bank (NAB). (2011a). Annual Review. available at: https://www.nab.com.au/about-us/shareholder-centre/financial-disclosuresandreporting/reports-and-presentations/annual-reports-archive, (accessed March 16, 2016). National Australia Bank (NAB). (2011b). Community Dig Deeper paper. available at: https://www.nab.com.au/vgnmedia/downld/CommunityDigDeeper2011.pdf, (accessed March 16, 2016). National Australia Bank (NAB). (2012). Annual Review. available at: https://www.nab.com.au/about-us/shareholder-centre/financial-disclosuresandreporting/reports-and-presentations/annual-reports-archive (accessed March 16, 2016). National Australia Bank (NAB). (2013a). Annual Review. available at: https://www.nab.com.au/about-us/shareholder-centre/financial-disclosuresandreporting/reports-and-presentations/annual-reports-archive (accessed March 16, 2016). National Australia Bank (NAB). (2013b). Dig Deeper paper. available at: http://cr.nab.com.au/docs/environment-dig-deeper.pdf ,(accessed March 16, 2016). Parker, L. D. (1999). Historiography for the New Millennium: Adventures in Accounting and Management. Accounting History. 4 (2), 11-42. Porter, M. E., Kramer, M. R. (2006). Strategy & Society: The Link Between Competitive Advantage and Corporate Social Responsibility. Harvard Business Review, 84 (12), 78-92. Principles for Social Investment Secretariat (PSIS). (2012a). Foundations of Social Investment, available at: https://www.unglobalcompact.org/library/175, (accessed March 16, 2016). Principles for Social Investment Secretariat (PSIS). (2012b). Reconceptualization of Business, available at: https://www.unglobalcompact.org/library/176, (accessed March 16, 2016). Sahlin, K., Wedlin, L. (2008). Circulating Ideas: Imitation, Translation and Editing, in Royston Greenwood, R., Oliver, C., Suddaby, R. and Sahlin, K. (eds), The SAGE Handbook of Organizational Institutionalism, (pp.218-242), SAGE Publications Limited. Simnett, R., Huggins, A. (2015). Integrated Reporting and Assurance: Where Can Research Add Value?, Sustainability Accounting, Management and Policy Journal. 6 (1). Stensaker, B., Harvey, L., Huisman, J., Langfeldt, L., Westerheijden, D.F. (2010). The Impact of European Standards and Guidelines in Agency Evaluations, European Journal of Education, 45 (4), 577-587. Stubbs, W., Higgins, C. (2014). Integrated Reporting and Internal Mechanisms of Change. Accounting, Auditing & Accountability Journal. 27 (7), 1068-1089. Unilever. (2009a). Annual Report and Accounts. available at: https://www.unilever.com/investor-relations/annual-report-and-accounts/archive-of-unilever-annual-report-and-accounts.html, (accessed March 16, 2016). Unilever. (2009b). Unilever Sustainable Development Overview. available at: https://issuu.com/unileversustentabilidade/docs/unilever_2009_sustainable_development_report_, (accessed March 16, 2016). Unilever. (2011a). Annual Report and Accounts. available at: https://www.unilever.com/investor-relations/annual-report-and-accounts/archive-of-unilever-annual-report-and-accounts.html (accessed March 16, 2016). Unilever. (2011b). Unilever Sustainable Living Plan Progress Report 2011. available at: https://www.unilever.com/sustainable-living/sustainable-living-news/reports-and-publications/, (accessed March 16, 2016). Unilever. (2012a). Annual Report and Accounts. available at: https://www.unilever.com/investor-relations/annual-report-and-accounts/archive-of-unilever-annual-report-and-accounts.html (accessed March 16, 2016). Unilever. (2012b). Unilever Sustainable Living Plan Progress Report 2012. available at: https://www.unilever.com/sustainable-living/sustainable-living-news/reports-and-publications/, (accessed March 16, 2016). Unilever. (2013a). Annual Report and Accounts available at: https://www.unilever.com/investor-relations/annual-report-and-accounts/archive-of-unilever-annual-report-and-accounts.html., (accessed March 16, 2016). Unilever. (2013b). Unilever Sustainable Living Plan 2013 Progress. available at: https://www.unilever.com/sustainable-living/sustainable-living-news/reports-and-publications/ (accessed March 16, 2016). United Nations Development Programme and The International Business Leaders Forum. (2003). Business and the Millennium Development Goals: A Framework for Action. Available at: http://c.ymcdn.com/sites/www.gbsnonline.org/resource/collection/C6833BC0-02C0-42E2-8804-5FAB1D3B217B/Business_and_MDGs2008.pdf, (accessed March 16, 2016). Integrated Reporting is commonly abbreviated to <IR>. We note that there are various definitions of social investment that have been put forward in the literature. We define the term as broadly as possible to enable us to focus on exploring how diverse social investment activities are reported. See https://sustainabledevelopment.un.org/index.html for further information. A broad concept of value creation for providers of finance is central to the <IR> Framework (Adams, 2013a; IIRC, 2013) which fosters the notion of multiple capitals and of transfers between capitals to create value for providers of finance. The Framework identifies six ‘capitals’: (i) Financial capital; (ii) Manufactured capital; (iii) Intellectual capital; (iv) Human capital; (v) Social and relationship capital; and (vi) Natural capital. This anecdotal evidence has become apparent through the authors’ collective engagements with business managers and through both non-financial reporting standard setting and advisory work. A key assumption underpinning findings of isomorphism is that homogeneity can arise where organisations become similar to others that are perceived as ‘leading’. For more detailed information, see PSIS Guidelines available at https://www.unglobalcompact.org/library/183. The PSIS Guidelines perform a similar function to the “disclosure index” in the sense referred to by Beattie et al., 2004. For example, a key Guiding Principle of the <IR> Framework is ‘connectivity’, where in integrated reports are required to provide an holistic picture of the activities and factors that affect the company’s ability to create value over time (IIRC, 2013). This is also supported by our PSIS based analysis – which shows increasing scores for all companies. Acknowledgements: The authors are grateful to conference participants at the Asia Pacific Interdisciplinary Perspectives in Accounting Conference, KOBE (2013) and colleagues at La Trobe University, the University of Pretoria and Toulouse Business School, in particular Delphine Gibassier, for their helpful comments on earlier versions of this paper.